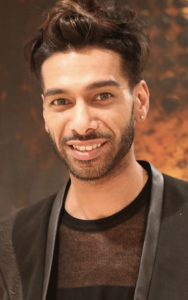 Mickey Jadav is a Stylist and Hair-up specialist. He joined Westbrook in 2011 and is currently training to be a Creative Stylist. Self-taught with over 10 yrs experience, Mickey worked as a freelance Wedding Hair Stylist and Stylist on editorial work, prior to joining Westbrook. He mainly worked on large scale weddings (including Indian weddings), parties and events, as well as fashion shows and photoshoots for editorial work. Mickey’s expertise lies with Bridal Hair-up, Hair Extensions (micro wefts, sew in, clipping) and contemporary Hair Styling for events/fashion and editorial work.